Cliff Brangwynne is a biophysical engineer who seeks to understand intracellular organization and its critical role in biological form and (dys)function. It has long been asserted that processes that drive cellular development—such as protein synthesis, energy production, cell cycle control, and waste degradation—require compartmentalization into membrane-bounded organelles. Brangwynne’s research focuses on the less well-understood membraneless organelles—loose assemblies of proteins and nucleic acids that are not enveloped by a lipid membrane. 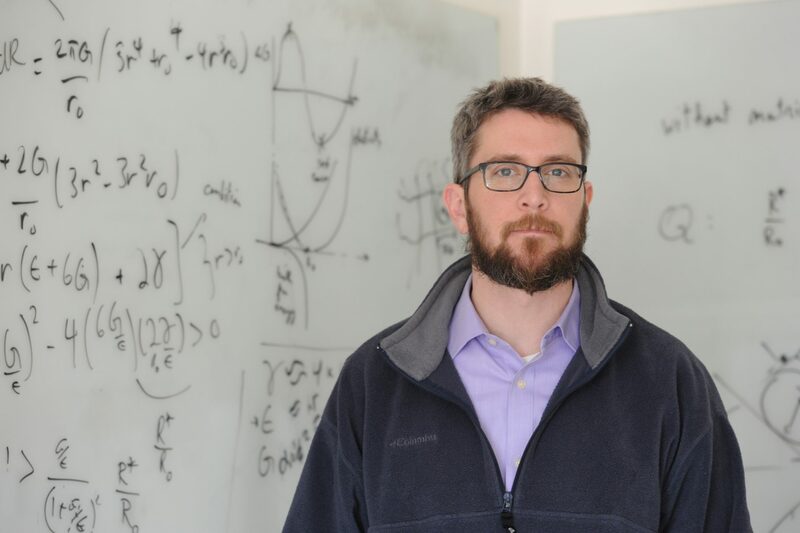 Using the principles of soft matter physics and cell biology, Brangwynne's work has determined that the organization of membraneless organelles is achieved through phase transitions. These liquid-liquid partitioning events are akin to oil separating from water—differences in viscosity, surface tension, and other properties allow liquids to coexist in distinct phases without mixing. Brangwynne is developing methods to further explore the mechanisms and implications of liquid phase transitions associated with such bodies as P-granules, Cajal Bodies, and nucleoli. He used changes in cell volume and variances in nucleolar protein concentration that happen during organismal development to study the dynamics of liquid phase partitioning of nucleoli, which are important for regulating gene expression. More recently, he created an approach using light-sensitive proteins that enables precise spatiotemporal control over liquid phase separation of intracellular liquid droplets both in vitro and in living cells. Brangwynne’s findings have opened a host of new research avenues, as membraneless biological phase separation is being found in an ever-increasing variety of cellular settings, and his investigations of the critical role compartmentalization plays in intracellular events has the potential to shed light on biochemical malfunctions that can lead to disease. Cliff Brangwynne received a B.S. in Materials Science & Engineering from Carnegie Mellon University (2001) and a Ph.D. in Applied Physics from Harvard University (2007). He was a postdoctoral researcher at the Max Planck Institute of Molecular Cell Biology and Genetics and the Max Planck Institute for the Physics of Complex Systems from 2007 to 2010, prior to joining the faculty of Princeton University in 2011, where he is currently an associate professor in the Department of Chemical and Biological Engineering, and an Investigator at the Howard Hughes Medical Institute. He is the recipient of numerous awards including a Searle Scholar, NSF CAREER Award, NIH New Innovator, ASCB Emerging Leader, Sloan Fellow, and Macarthur Fellow. His articles have appeared in such scientific journals as Cell, Proceedings of the National Academy of Sciences, Science, Nature Physics, and the Journal of Cell Biology, among others.